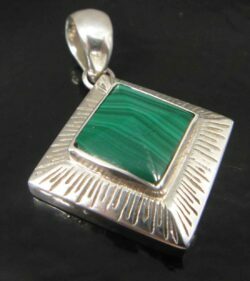 This malachite, garnet, and .950 sterling silver peacock pendant is a truly unique piece of jewelry. 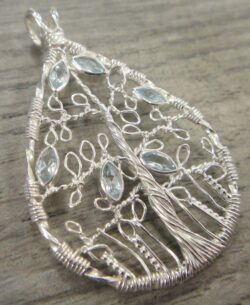 The piece can be worn as either a pendant or a pin. This malachite, garnet, and .950 sterling silver peacock pendant is a truly unique piece of jewelry. 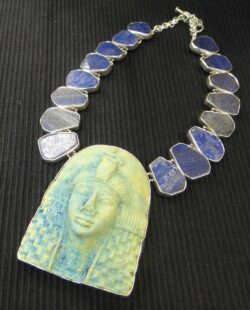 The piece can be worn as either a pendant or a pin. 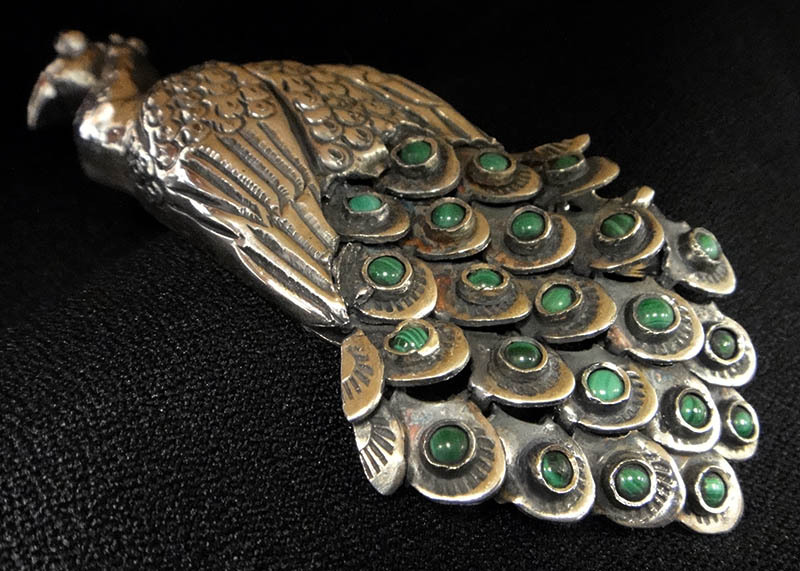 The peacock’s “feathers” are each accented with small green malachite stones and are connected in a way that allows a small amount of movement. 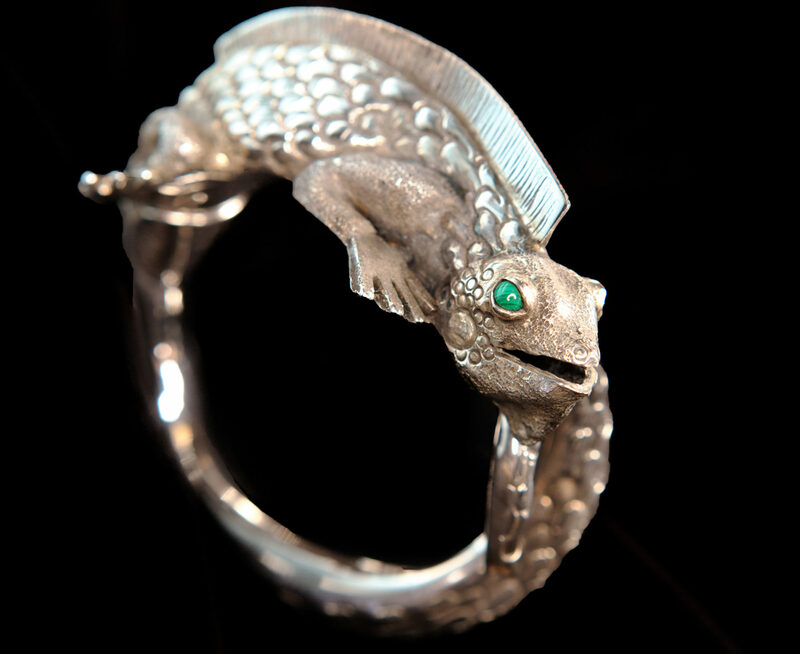 The peacock’s eye is a small garnet stone. 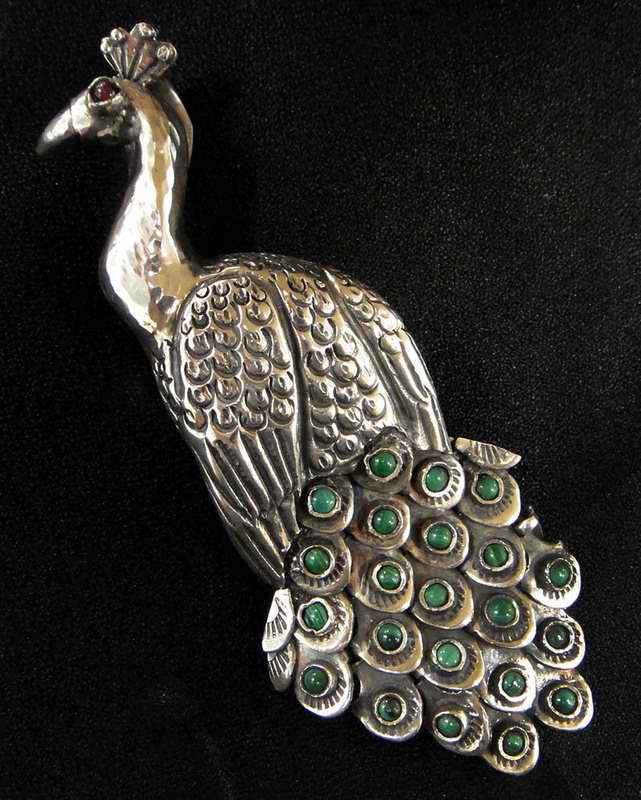 The silver is intricately detailed to see the texture for the feathers on the body of the peacock. 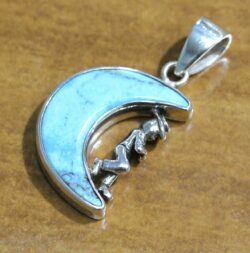 The back of the piece is stamped with “950” so you can rest assured you are getting only the finest genuine sterling silver jewelry. 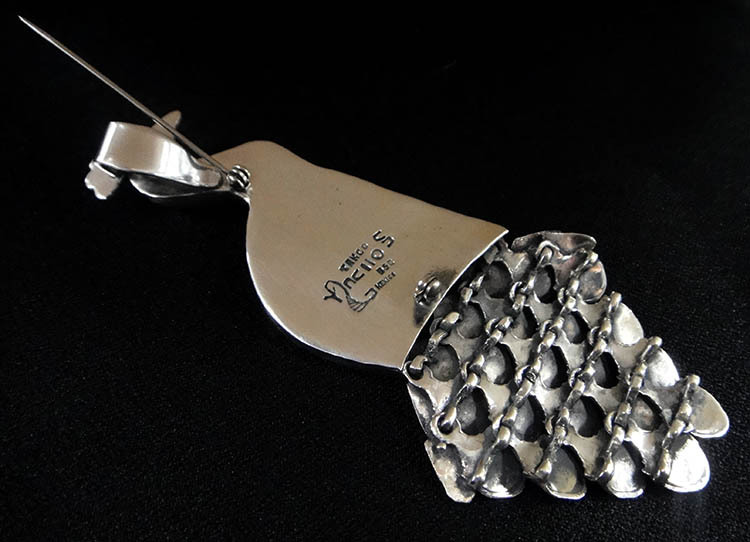 The back is also stamped with “Taxco” and “Mexico” since the piece was handmade in Taxco, Mexico. 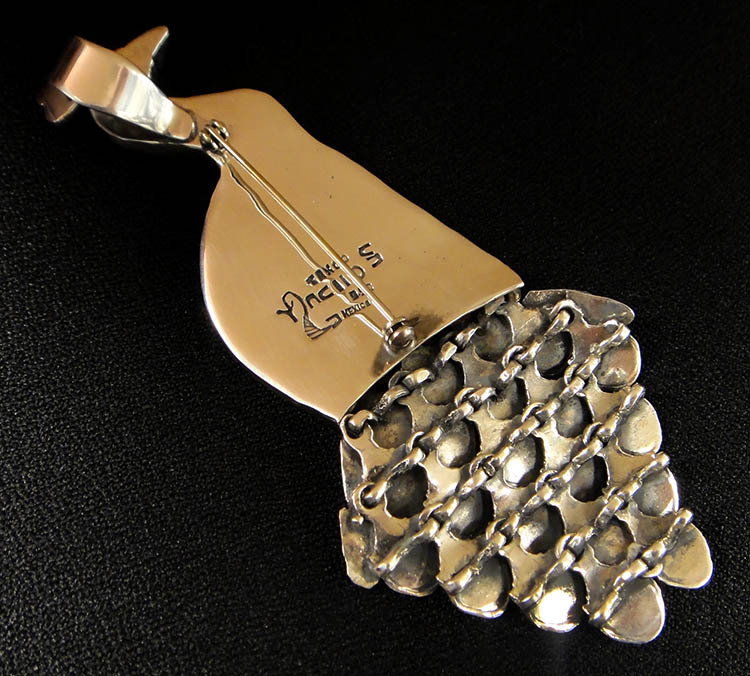 Taxco is very well known for the beautiful silverwork created there. The peacock is a large piece of jewelry that will definitely stand out. The peacock measures approximately 4.5″ long. 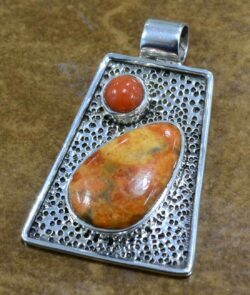 At its widest point, the pendant measures approximately 2.13″ across. The bail (loop for chain) is completely hidden behind the peacock’s head and is very large, allowing it to easily fit onto almost any chains or cords (not included). 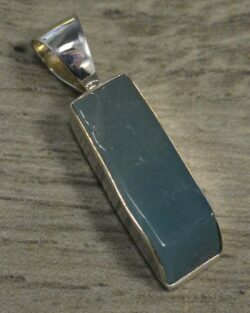 The pin back runs along the back of the pendant and measures approximately 1.5″ long. 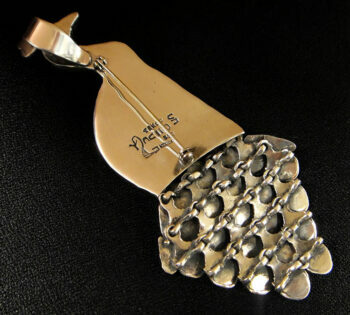 Please note that the dime is not included but is shown to help you gauge the size of the piece. 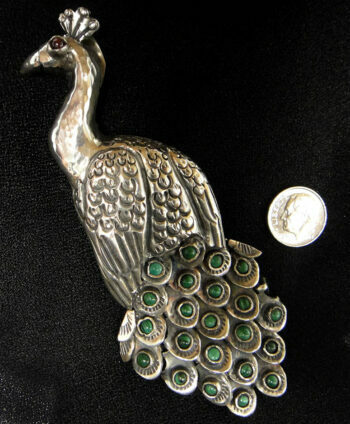 This brand new piece would make a great gift for anyone who loves peacocks or animal jewelry. 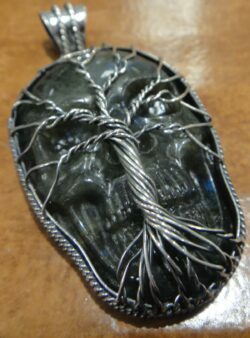 This piece would also be great for anyone looking for a truly bold and unique pendant or pin. This peacock pendant comes with our original store tags and gift box, great for giving or storage for years to come.